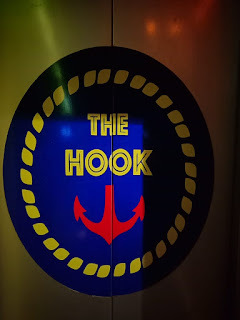 The Hook Restaurant and bar has a fine collection of dishes that is served in a lovely ambiance. Located on the Leisure Valley grounds in Gurugram, the restaurant opens up to a wide space that is well lit. The spacious setting and the lights enliven the atmosphere while the warm hospitality adds charm to the experience. We began the culinary odyssey with two different salads, which are definitely different compared to the conventional salads. 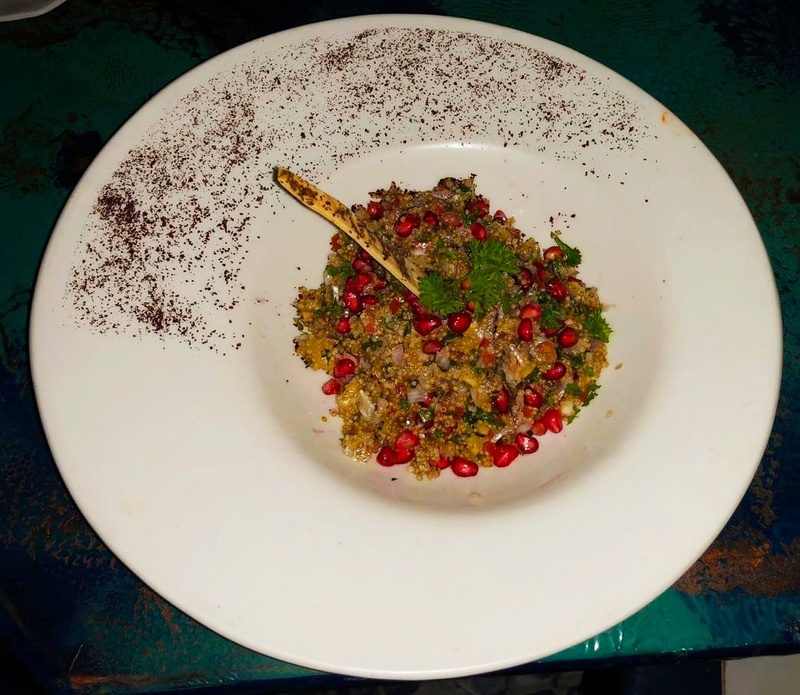 The first one was a quinoa salad complete with celery, tomatoes, onions, pineapple, pomegranate, coriander and garnished with herbs and dressings. The salad was well presented and the perfect choices for a healthy start. 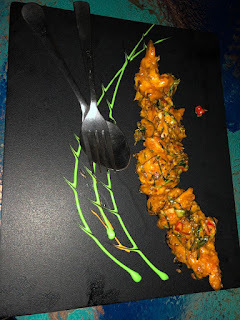 The next one was a seafood salad comprising of shrimps, fish, squid mixed with olive pepper sauce that pleased the senses. If you love seafood, this one should definitely be tried. We loved the salads along with a glass of Virgin mojito and Virgin bloody Mary that helped to cleanse the palate, and prim our taste buds for the remaining part of the review. Next we tried the Chicken wings. The taste was extra ordinary. The well cooked wings covered in barbeque sauce scored the best in taste. We also ordered for a spicy ginger fish. The fish was a perfect amalgamation of spiciness and flavor. We also ordered for Thai green curry. I loved this dish because of the authentic Thai flavors and rich gravy. The well done vegetables match well with the consistency of the gravy making it a complete dish in itself. The last dish we ordered was the butter chicken and Parantha. This combination is always a winner for North Indians. The soft chicken pieces simply melt in the mouth and the creamy chicken gravy makes it an irresistible dish. This was the highlight of the review. 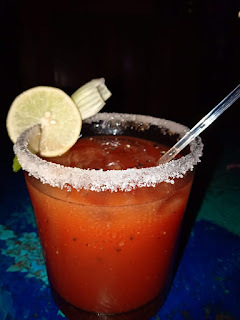 We loved the experience at Hook and would recommend foodies to indulge in their cocktails and food. They are very famous for the seafood. 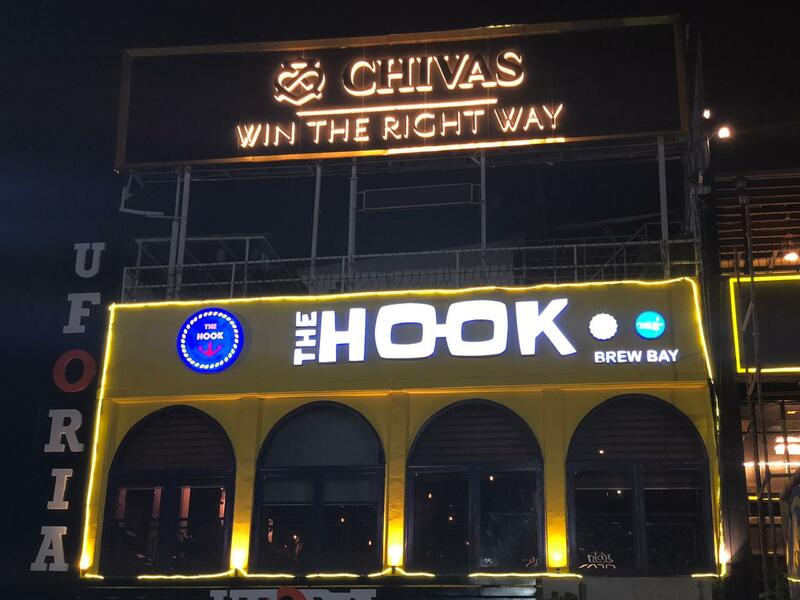 The Hook, Leisure Valley grounds, Gurugram.